Nearly a year has passed since work began on the internal exhibits of the ICR Discovery Center for Science and Earth History. Our lifelike animatronic T. rex was the first major installation in April 2018, and many additions have been made since then. It’s been my privilege during this time to lead dozens of tours for local supporters, potential donors, and special guests. From the feedback they’ve given, it’s clear this remarkable facility will have a great impact on many people for the Lord and His Word. Their notes are a great blessing to me, and it’s my pleasure to share some recent favorites. 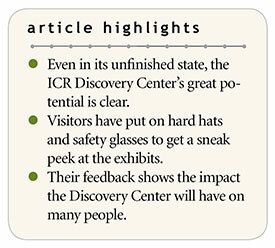 The ICR Discovery Center will have a great impact on many people for the Lord and His Word. It’s my hope these wonderful testimonies will inspire our supporters—as well as encourage new ones—to keep on praying and giving as the Lord leads. God has used ICR’s ministry to bless many people over the last 50 years, and our new Discovery Center has the potential to reach even more with the truth of creation and of our Creator, the Lord Jesus Christ. Please prayerfully consider joining with us. Your earthly investment with ICR today will impact lives for eternity. * Mr. Morris is Director of Operations at the Institute for Creation Research. Cite this article: Henry M. Morris IV. 2019. 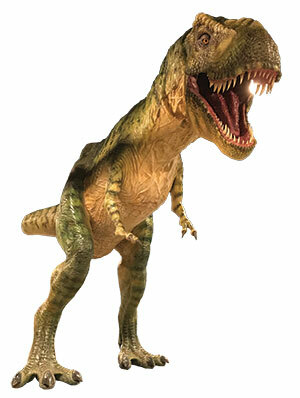 T. rex, Tours, and Testimonies. Acts & Facts. 48 (4).